WHAT: Calling all super fans, first-timers and everyone in between! 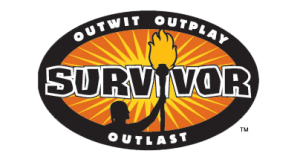 Join us for a casting call for the CBS reality show Survivor at Mohegan Sun on Thursday, September 20th. September 20th from 2:00pm – 6:00pm in The Shops concourse at Mohegan Sun. *Note: Must be 18 years of age or older to participate in casting call. ABOUT MOHEGAN SUN: Owned by the Mohegan Tribal Gaming Authority, Mohegan Sun is one of the largest, most spectacular entertainment, gaming, dining and shopping destinations in the United States. Situated on 185 acres along the Thames River in scenic southeastern Connecticut, Mohegan Sun is home to three unique casinos, 1,600 deluxe hotel rooms, 2 world-class spas, a golf course, over 90 shops, restaurants and bars as well as three award-winning entertainment venues including a 10,000-seat Arena. Mohegan Sun is within easy access of New York, Boston, Hartford and Providence and located 15 minutes from the museums, antique shops and waterfront of Mystic Country. More information is available by calling 1.888.226.7711 or visiting mohegansun.com. Connect with us on Facebook, follow us on Twitter and Instagram @mohegansun, view us on YouTube and find us on Snapchat at username MoheganSun.